I did so much measuring and line-drawing for my E I decided to leave in the pencil lines as a sort of underpainting, a decorative structure underlying the letter. Though it’s hard to see in the scan, the whole square is embossed, with gold coloring the embossed edges as well as providing the decoration on an otherwise plain capital. The two greens remind me of marble or malachite, but the gold filigree design really elevates the whole thing to the realm of beauty. 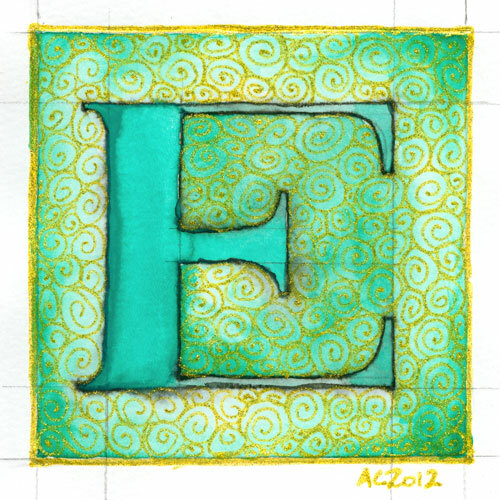 E is for Emboss, 5″x5″ pencil, pen & ink, Japanese watercolor and glitter gel pen on paper. 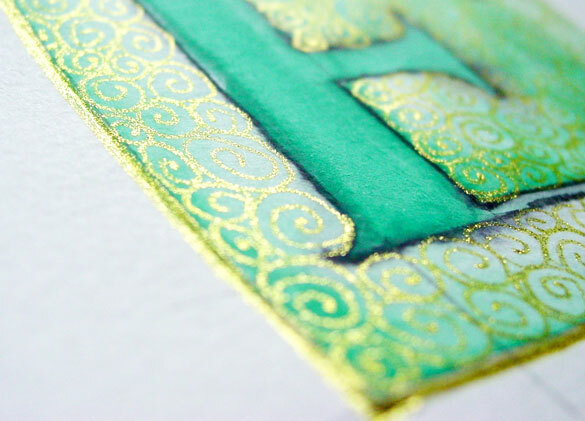 Above, you can see the raised edges and shining gold both on the edge itself and in the filigree decoration. 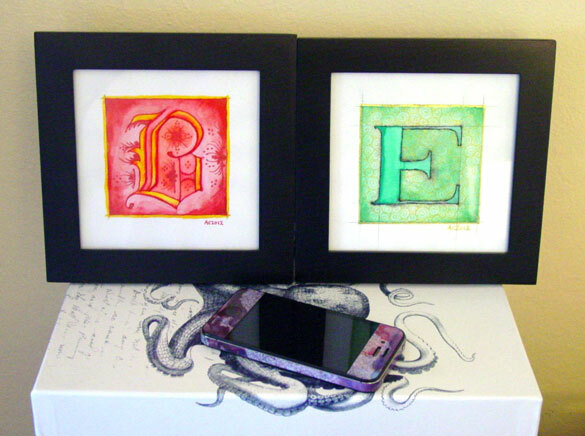 Below, I’ve put the piece in a frame with B is for Blackletter. It spells BE! 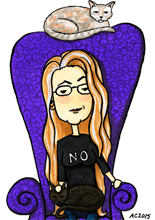 Yes, I’m a dork. You knew that.